If you ever need consoling, read this. 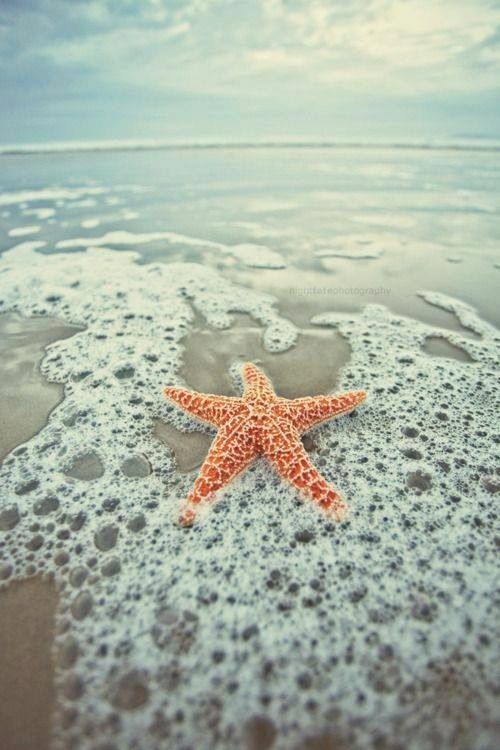 Did you know that if you cut a starfish in half it would replicate? If you were to cut off all five of its points it’d create five more starfish? They remind me of hopeless romantics. No matter how many times they are broken apart, they will always spread their presence throughtout the sea. I believe in the hopeless romantic. I think this world thrives on broken people. There is always beauty in a sad song. Just as a book is judged by its cover, people see muscles and power holding up these tired bones of mine, but some do forget that no matter the strength of a rock, it too can be split in half if something as gentle as water were to persistently land in one place upon it. But then, even after I’m split in two, I still continue on. Maybe I’m a starfish. Maybe I’m just meant for the sea.